Selling a home is a big step in your life. One of the bigger steps you will ever make. This is the place you have been raising your family, sleeping, keeping beautiful, and have truly made your “home.” As you are looking for home for sale in Idaho, the best place, as a seller, to look is with an agent here at The Group Real Estate. Idaho Falls Real Estate is booming and we are right at the head of it all. Realtor com Idaho is a place to start your real estate Idaho falls search, but make sure if you are in the need to sell, wanting to move forward with this decision can be very difficult. As you look through the Zillow markets and the Zillow agents, you will see so many of our agents pop up for you, showcasing the strong case that we can make to help you get your home sale and still make sure you are treated right and get the most out of the entire process. 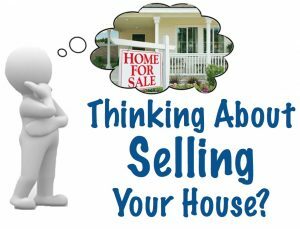 Selling your home is not an easy task, and that is okay. That is why we specialize in helping you be in the best position to sell your home. In today’s seller market, the median age for those selling their homes is about forty five years of age, and is disproportionately Caucasian/white, at about seventy eight percent of sellers being Caucasian/white, and has a median income of just shy of ninety thousand. Around sixty percent of sellers in this market live in their home for at least a decade before selling, with nearly twenty five percent owning their home for more than twenty years before they opt to sell. Almost one third, or about thirty two percent, of sellers in this market are millennials. Most sellers in this market are usually selling for the first time, making up about sixty one percent of sellers in today’s market, and they are simultaneously looking for a home to buy during this time. This is around seventy one percent of sellers who are doing this. Eighty nine percent of sellers list with an agent and thirty six percent try to sell on their own. This showcases a very large appeal to why you should use an agent and not try to attempt to do so on your own. With that, the number, in percentage, of those thirty six who try to sell on their own, only eleven percent of those are successful in selling their own home. Sellers usually have to make at least one compromise to sell their homes, ranging at about seventy six percent of sellers doing this, with the most popular concession being lowering the sales price. This ranges to about thirty four percent of homes that are for sale. One in two sellers, that is fifty percent of sellers in this market, will sell their home for less than the price they listed it at. These are just a few numbers and facts to get you started. As you look into selling your home, please take into consideration some of these exact things, options and notions. This is a big step, but know that it is a great, and wonderful, step to be taking with an agent. When it comes to taking these steps, you want to be ready! As you do that, that is why I wanted to point out these little facts for you. Happy home selling to you all.